Good WordPress Hosting makes life easier for WordPress website owners to freely act on what they do best – promote their websites, brand, products, and services. However, selecting best hosting package or plan for your requirements can be cumbersome, especially for someone who is completely alien to the domain. To help you in this regard, I am placing some pointers on what parameters to look into before you opt for any WordPress hosting services. Also, let me put out a compiled list of some of the top 7 WordPress Web Hosting providers in India for web hosting. How to select the right WordPress web hosting service for your website? This small write up shall act as your guide to aid in your hosting purchase decision. 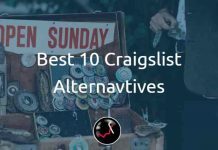 Listed are some vital factors that you should understand and consider before opting for a hosting company and their hosting plan/s. 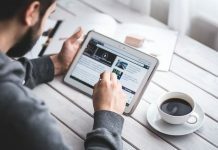 Before selecting a hosting plan for your WordPress website and a hosting service provider, put some time into what your expectation are from your website. If you expect huge traffic, reduced page load time, enhanced performance and reliability, then going for a hosting plan with low RAM, Disc Space, Processing Speed is a clear NO NO! Select a plan based on your expectation from your website and how you want them to behave for the visitors who visit it. If you are also looking for organic traffic for your website i.e. from SEO, then page loading time and website speed are also one of the major factors in ranking your website. Hence, opting for the suitable plan based on what you forecast for your website is a must. Remember, complementing technical power from hosting is always good for the website and user experience. After your receive credentials to your WordPress hosting plan, one needs to install all the files on the WordPress server, create email accounts, set up FTP accounts and more. Although, many hosting companies help you on your website installation, for rest of the activities you are all by yourself. There are majorly two control panel interfaces that are popular and have abundant tutorial material all around the internet – cPanel and Plesk. Before making a purchase on your WordPress hosting plan, make sure you have either of them, just because it is a little easy to figure out what needs to be done. If you have a WordPress website, you can get email IDs configured for on your website domain name. For example, if you own examplewebsite.in, you can have email IDs configured as [yourname]@examplewebsite.in and in any other combinations, you seek. First and foremost, make sure you get unlimited email IDs to configure so that in you can have as many email IDs as you want. Check if email interfaces such as IMAP, POP etc so that you can have all kinds of clients such as MS Outlook and others to be synced to send and receive emails from your domain email ID. Keeping website up all the time is the effort of all website owners – bloggers, businesses, non-profit organizations etc. To do so, a reliable 365x24x7 support is a must. Holiday or not, consistent support from your hosting company is a must. Before you pick your WordPress hosting plan, get reviews on how reliable their customer support service is. Also, check for their reaction time to your queries/complaints and for their available channels, preferably email, phone and instant chat. Everyone wants growth. More traffic to your website, more features you may want to add to it – better hosting packages you require. Hence, check all plans that a WordPress hosting provider has to offer to accommodate your anticipated. More the traffic, higher powered and reliable hosting plan you require. Check if the hosting company also offer, dedicated or VPS (virtual private server) for easier future expansion. Check with them the ease of upgrades as well. Good WordPress hosting providers give away good offers for throwaway prices, in some case for FREE. 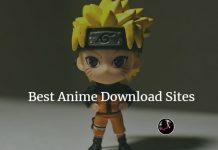 FREE .com domain with all packages, hosting on multiple data centers, free dedicated phone support, enhanced security features, regular backups, green practices and more. 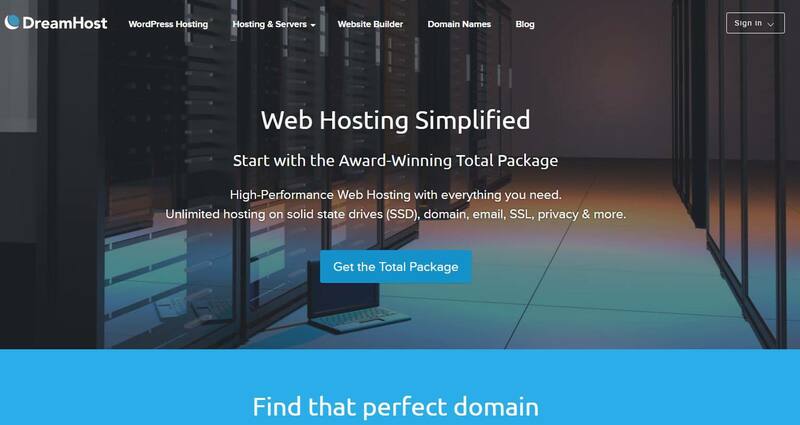 Go for such a hosting package that really adds value to you. HostGator is one of the top Hosting service providers in the market today. It offers a variety of hosting services and domain registration packages catering to customers from across the globe. Hostgator offers many plans – Web Hosting, WordPress Hosting, Reseller Services, VPS, and Dedicated Servers. 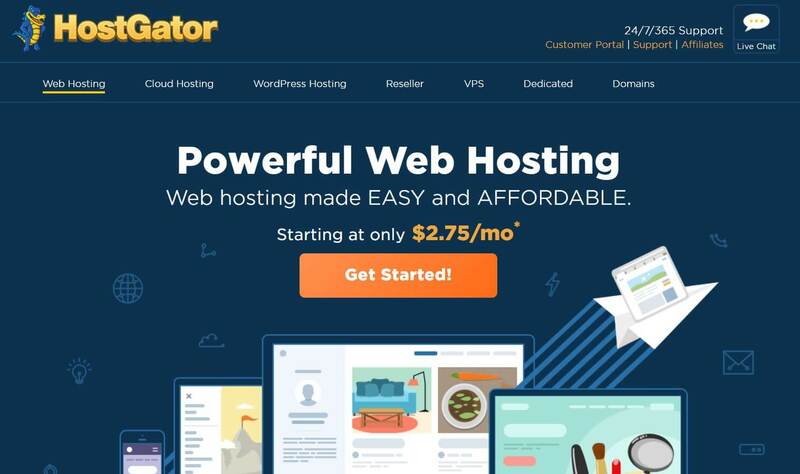 HostGator’s pricing is reasonable and their WordPress hosting plans start from just $4.22/month. DreamHost is one of the old players in WordPress Hosting and Domain registration space. Awarded twice as the best Business Hosting services by PCMag.com, DreamHost’s WordPress Hosting is a must try for businesses. DreamHost is also considered to be the one that provides WordPress hosting packages with top security and unlimited features plans. In addition to WordPress hosting, DreamHost also has hosting solutions, including Shared Hosting, Managed VPS Hosting, Dedicated Servers and Cloud related services. With all these advantages, comes a flip side. DreamHost’s WordPress hosting plans are expensive and their basic plans start at $16.95 per month. Award Winning Support – 365x7x24, however, they do not have phone service support on their basic plans. Even on their premium plans, phone support is limited. 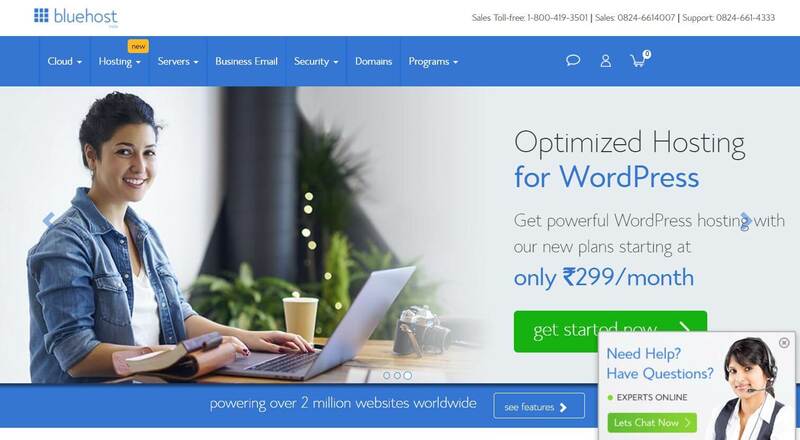 Bluehost offers a great hosting experience and is known to invest in the best technology for its hosting solutions, including their WordPress hosting options. BlueHost’s plans are highly affordable and cater to wide spectrum of hosting needs – Web Hosting, Windows Hosting, WordPress Hosting, Linux Hosting, Windows and Linux Reseller, VPS and Dedicated Servers. On the security side, BlueHost offers security digital certificates, site-lock and code guard services. GoDaddy is one of the well-known hosting and domain registration service providers with over 60 million domains under their management. This webhosting is known for its best customer support 365x24x7 via all channels – email, phone and instant chat. One can start WordPress hosting for as low as over $2.5 per month, however with limited features. 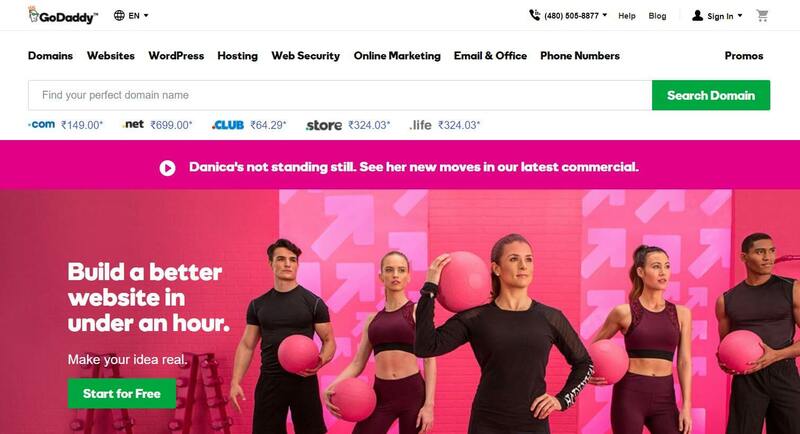 Their Delux and Ultimate plans offer UNLIMITED website hosting, storage, and space. 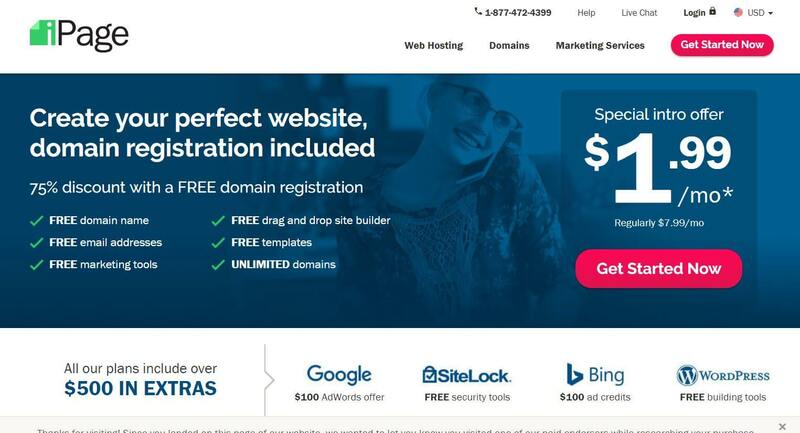 BigRock is one of the biggest players in the hosting and domain management space, with some of the best businesses latching on to their WordPress hosting service. 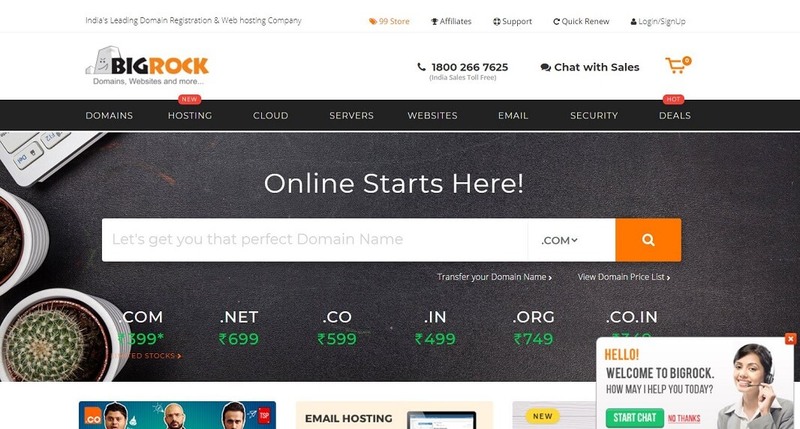 A well-known brand in India, BigRock offers affordable hosting solutions catering to customers with all sorts of requirements. With WordPress Hosting plan starting at around $1, it is one of the cheapest as well. If you are a blogger, BigRock is the go-to hosting solution provider. 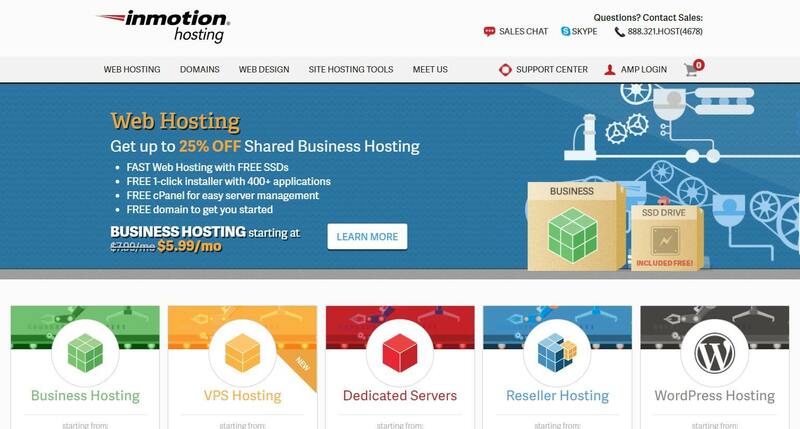 InMotion’s WordPress hosting offers fast, reliable and affordable hosting supported by high-end technology. Offered A+ service rating by Better Business Bureau and 12 years ranked as top CNET Hosting Company, In addition to WordPress Hosting, InMotion also caters other kinds of hosting requirements, including, Shared Hosting, Reseller Hosting, VPS and Dedicated Servers. iPage is one of the world leaders in WordPress hosting and have over 1 million customers under its belt. iPage’s hosting plan starts from as low as $2.00/month. It has been over 5 years since my first website, and in the period I have had many WordPress websites and have switched to WordPress hosting providers. What I really mean to say is that most of the things about WordPress hosting you ideally learn by experiencing services of hosting providers and they may never remain consistent. So, put your websites to test on WordPress servers of many hosting providers. You will definitely bump into your ideal one of the 7 top ones listed here.